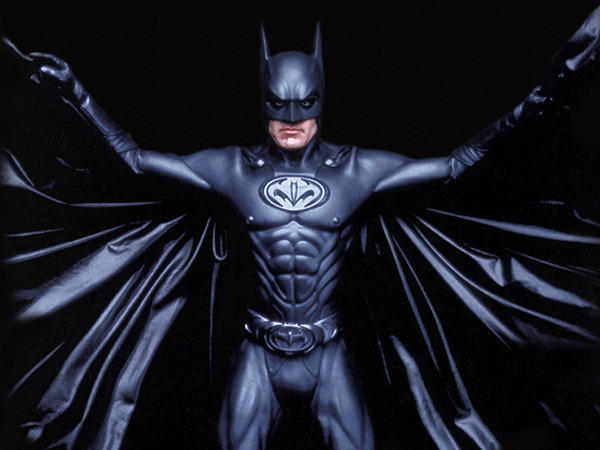 Originally intending to do a list on some of the coolest looking batsuits worn throughout the years, my research lead me to a very startling conclusion. Some of these things are just nuts. And so I’ve decided to chronicle some of the silliest and just straight up confusing suits worn by Batman, or any who’ve attempted to take his name over the years. It’s been done to death, but it’s always worth mentioning. Never forget. 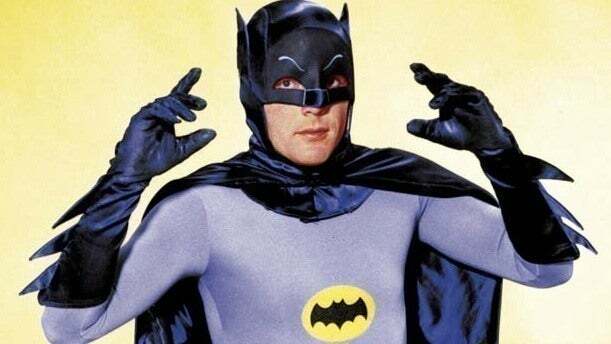 While still famous for being one of the first adaptations of Batman to truly bring the hero into the mainstream in the 60’s, there’s no doubt that in this day and age Adam West’s appearance as the Dark Knight comes off as pretty cheesy. Between the shoddily made suit and his less than intimidating physique, this Batman is definitely not the hero we deserve. Still, there’s something irresistibly charming about Adam West’s portrayal, and his charismatic enthusiasm in the role will always be remembered fondly. One of the many Elseworld interpretations of the DC universe, Gotham by Gaslight sees Batman in the late 1800’s solving the mystery behind the identity of Jack the Ripper. The steampunk aesthetic is almost always cool, and when applied to Batman it’s no exception. There was even a Gotham by Gaslight video game in development that was ultimately scrapped, leaving this old-timey Batman unfortunately stuck in the past. Following Batman’s apparent death at the hands of Darksied, The Battle for the Cowl began, seeing various characters at odds over who would replace Bruce Wayne as Gotham’s protector. Though it turned out to only be a Scarecrow hallucination, it was still a shock to see Two-Face garbed in his own twisted version of the familiar cape and cowl. While never a true candidate for the mantle of the Bat, it’s still an interesting notion to see the one of the villains behind the mask. Another one of those crazy Elseworld tales, Dark Knight of the Round Table sees Batman as a knight of King Arthur’s court. While maybe taking the “Knight” in “Dark Knight” a little too literally, it’s always rad to see Batman wielding a sword against his foes and putting some of that ninja training to use. He even rode a unicorn! After another one of those pesky “deaths” that Bruce Wayne keeps experiencing, this time it’s the loveable commissioner Jim Gordon who takes his place. Since not everyone can afford to travel the world and harness ancient techniques and knowledge from ninja masters like Bruce Wayne, Jim has to rely on a mechanized suit to combat the scourge of Gotham. It may seem farfetched, but who else is truly more worthy of protecting Gotham than its own commissioner? If there’s an answer to that last proposed question, it’s certain not Azrael. Another one of Batman’s numerous apprentices, Jean-Paul Valley, decides to take his place after an unfortunate back-breaking run-in with Bane. Deciding to kick up the violence a notch, he ditches the old suit in favour of an armoured version. Realizing his mistake, it takes Bruce Wayne himself to come out of retirement and take him down. The 50’s were a weird time. The Soviets were launching satellites into space, there were movies in three dimensions, and Batman decided to risk putting a little colour into his wardrobe. He says it was to keep awareness off an injured Robin, but maybe the grey and black just gets a little drab sometimes you know? Can’t keep a guy down for trying to channel his inner diva. 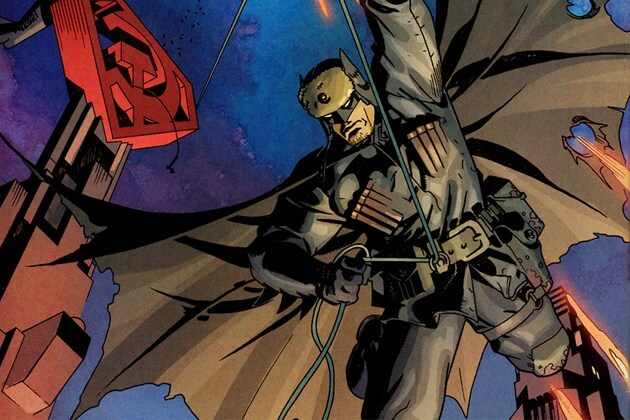 Speaking of Soviet Russia, this version of Batman popped up in the Elseworld story Superman: Red Son, which followed the Man of Steel’s kryptonian craft landing in the Russian motherland instead of Smallville as a baby. 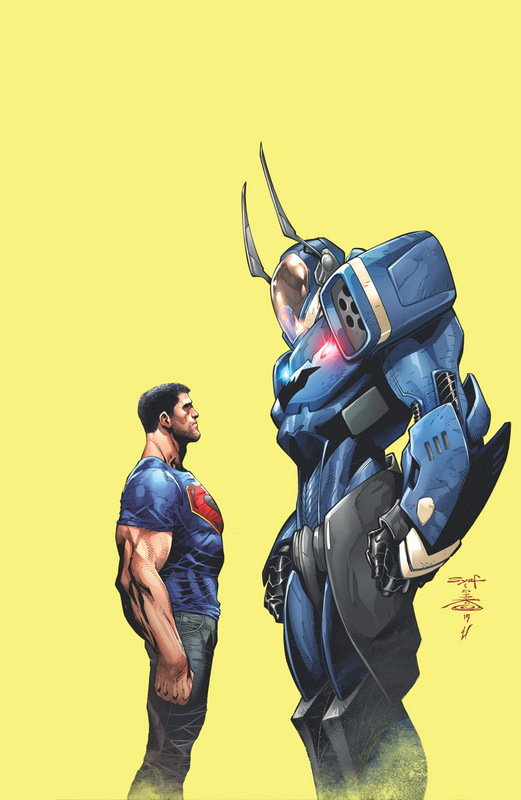 Superman isn’t the only one affected by this however, as a new Batman pops up here as well to take him down alongside Lex Luthor. It may not be technically the most outrageous costume, but it’s really the subtly that gets me here. It’s just cold in Russia. So he put some fur on his hat. Genius. Originally the batsuit of an alien Batman on planet Zurr-En-Arrh, the usage of the suit becomes much more insane in the Batman R.I.P arc. With the use of drugs and hypnosis, the villainous Doctor Hurt uses the trigger phrase “Zurr-En-Arrh” to send Bruce Wayne into an amnesiac craze on the streets of Gotham. Of course, Batman has a plan for this like everything else in life, in which the hallucinated Bat-Mite appears to council him, as he makes a makeshift batsuit and becomes “Batman of Zurr-En-Arrh”. It’s crazy, doesn’t really make any sense, and I absolutely love it. It’s stuff like this that makes Batman awesome. We Played Assassin’s Creed Syndicate – Should You?